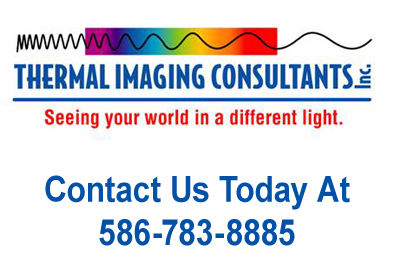 We use infrared, thermal imaging to locate and document thermal anomalies inside and outside your home. We are independent contractors that can offer unbiased insight because we do not sell any other products or services like many of our competitors. We work for you to determine the most effective solutions to your problems. By helping property owners identify potentially dangerous and costly problems and effectively performing an energy audit, we can save you unnecessary expenses through the use of thermal imaging. What you can expect from the inspection. If you wish you and the inspector will do the inspection together. You can view the camera from behind him. It takes around an hour to complete. 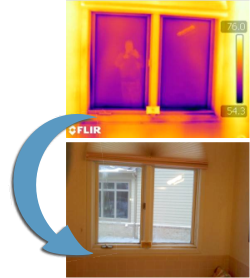 When he finds something wrong he will explain it and document it with a color and infrared picture in high resolution for the energy audit report. You need not take any notes. We only takes pictures where there are problems. Then we place them in the report you will receive the next day or two outlining the thermal imaging pictures with a detailed explanation of what he sees. You have permanent documentation to email to insurance company or another contractor for quotes. The price does not change once he gets there. In the conclusions page he prioritizes what to do and how to go about doing it in the order that will get you the most bang for the buck. You are getting a thermal imaging inspector (NOT A SALESMAN) that has hundreds of inspections under his belt and is working for you. A complete energy audit will provide typical pictures such as air intrusion, missing insulation, sagging insulation, insufficient insulation, wet or water damage on the other side of the wall. Sources for drafts. Leaks in your heating system duct work. Animals living in the attic and many times mold behind the walls. • Certified Well & Septic Inspector – Registered Evaluator for Sewage Disposal and Water Supply Systems with the Macomb County Health Dept. Why should I choose this company? We have nothing to sell you except quick and painless identification of your problem and recommendations for resolution. That's it! •	Document and record for future reference location of studs and insulation. •	Identify air leakage energy losses. •	Reduce heating and cooling energy losses. •	Detect poor electrical connection, overloaded circuits and other electrical imbalances. •	Locate missing, improperly installed, wet or damaged insulation in walls, floors and ceilings. 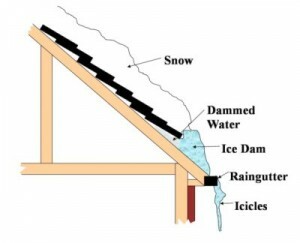 Afraid of Ice Dams? We Prevent them!